Tunesify is the simplest way to convert almost any audio file into formats supported by iTunes, iPods and iPhones. Tunesify can convert FLAC, Windows Media Audio, WavPack, Ogg Vorbis, Monkey's Audio and many more. 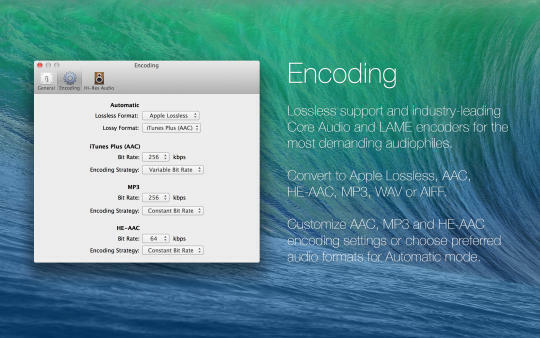 Lossless formats, such as FLAC, can be converted to Apple Lossless, which preserves the true CD-quality sound. 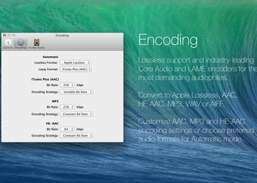 Files can also be converted to AAC, MP3, WAV, AIFF or HE-AAC formats. No knowledge of audio codecs or bit rates is necessary as an automatic mode takes all of the guesswork out of choosing your settings. Simply drag and drop audio files into Tunesify and click Convert. 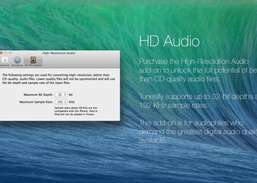 You can even convert music videos into audio files that will play on your Apple Device. 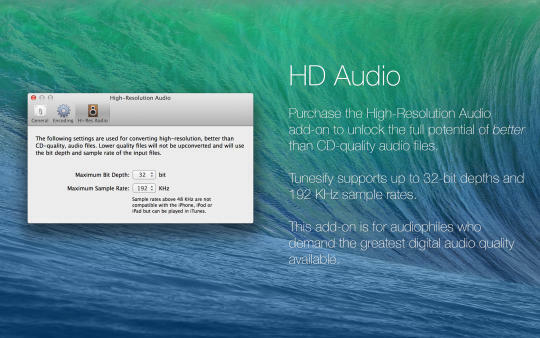 Converts between all popular audio formats preserving metadata and album artwork.